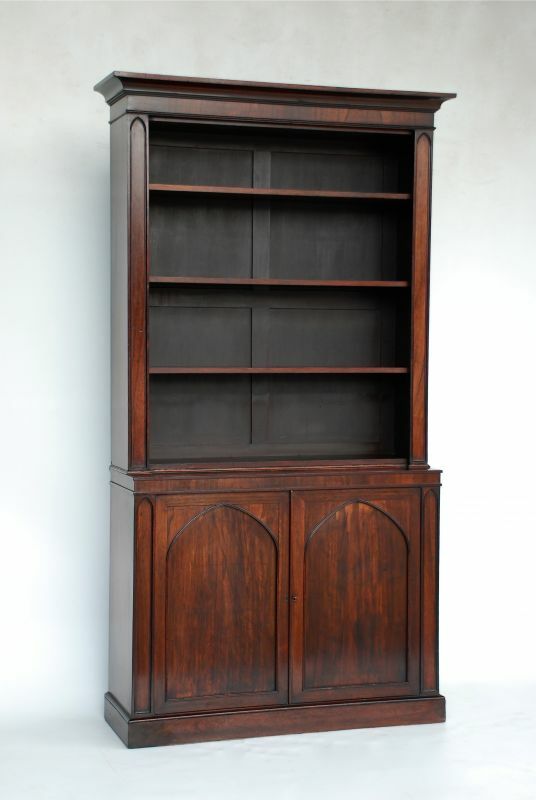 Rosewood bookcase with adjustable shelves on cupboard base, with pointed arched panels. Some restoration and alteration, glazed doors have been removed at some time in the past. 48 inches wide, 45 at the waist, 14½ inches deep and 89½ inches high.